For those of you who enjoy the destination flights provided by Allegiant to Orlando and Myrtle Beach from Bridgeport, there’s some good news. During Wednesday’s meeting of the Benedum Airport Authority a continuation and expansion of both flights were announced. For starters, the ongoing twice-a-week flights from Bridgeport to the Orlando-Sanford International Airport is going to be expanded to three days a week beginning in February and March. There will also be three flights during the third week of April. “That April flight is to help accommodate for those who happen to be on spring break and want more travel options, but anyone can utilize it,” said Rock. The even better news? The flights will resume to three days a week on May 31 through August 15. The flights will be offered on Sundays, Tuesdays and Thursdays. More good news came with the Myrtle Beach flight. Rock confirmed Allegiant has once again renewed flight service to Myrtle Beach. There’s also additional good news. “They’re starting a week earlier and, right now, they’re committed through August 15, which we hope to expand as we have in the past,” said Rock. The flights will begin May 31 through the middle of August. Along with the earlier start, the Myrtle Beach flight will now go from two days a week to three days a week. The flights will run Monday, Wednesday and Friday. 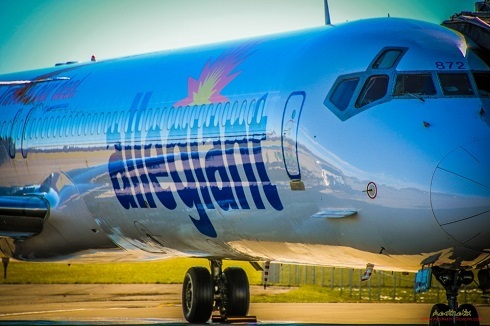 The opportunity, said Rock, is that he believes success with these flights will make it easier to sell Allegiant on starting a new flight service to a new destination. Rock broaches new destinations each year at Allegiant’s annual meeting as well as during regular discussions with airline officials. 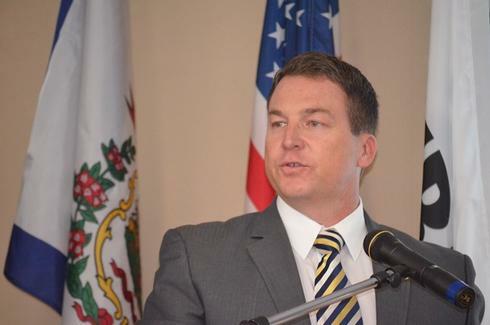 For individuals concerned about past issues discussed on 60 Minutes regarding the older jets utilized by Allegiant, Deputy Airport Director Shawn Long said Allegiant has switched completely to new Airbus 320s and no longer utilize the MD-80. The Airbus holds between 177 and 186 passengers, Long said. Individuals looking to book flights can visit the North Central West Virginia Airport’s Web site by clicking HERE. Editor's Note: Top photo shows one of the early Allegiant flights when it began service out of Bridgeport. NCWV Airport Director Rick Rock is shown below.